Travis Scott and Kylie Jenner have revealed the name of their baby girl, Stormi Webster. Kylie Jenner shocked everyone on Sunday when she announced on Instagram that she gave birth to a baby girl following months of pregnancy speculations. The reality star and beauty mogul shared a photo of her daughter on IG on Tuesday while revealing her name Stormi Webster. By the way, Jacques Webster is Travis Scott government name and Stormi was inspired by a butterfly according to some fans. Kim Kardashian even tweeted a storm emoji. 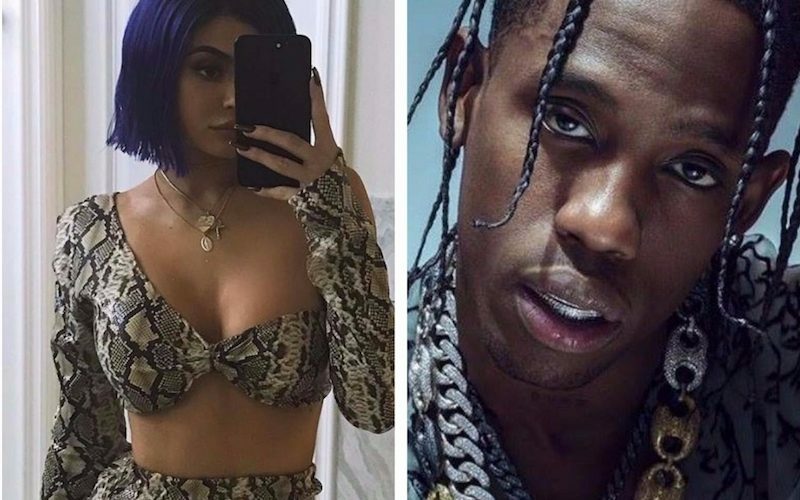 Last year, Travis Scott and Kylie Jenner got matching butterfly tattoos on their ankle in celebration of his smash hit single “Butterfly Effect.” A day after she gave birth, Kylie announced her new beauty line “Posie” which is short for Mariposa, which is the Spanish name for a butterfly.